Well, here’s one thing brown can do for you. A UPS driver managed to trap a California man inside his apartment after leaving a package wedged under his door handle. Jessie Lawrence, of San Francisco, tweeted about the terrifying and bizarre ordeal Sunday — saying he had to call maintenance to get out. 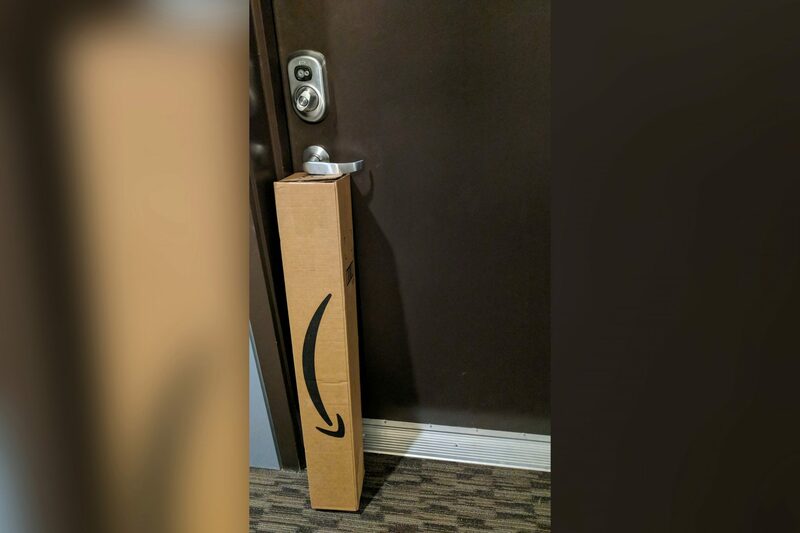 “Hey @UPS, your driver left this package under our door knob like this and trapped us in our apartment,” Lawrence tweeted, along with a photo showing the delivery person’s dimwitted package placement. 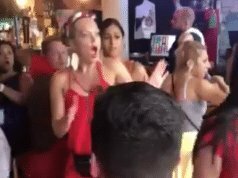 Lawrence’s tweet wound up going viral Monday, along with the picture he posted. Over 600,000 people have liked it on Instagram, while thousands more have shared the image on Twitter and Facebook. “Looks like you got…boxed in,” joked Jason Maestas, another San Francisco resident. 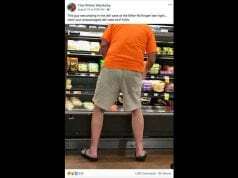 The short reply ultimately prompted scores of messages from baffled Twitter users, who called out the shipping company for not immediately recognizing the problem. “Feels like [the] concern was already clearly detailed,” tweeted one person. “Details of your concern lmfao. How much more info do you need,” another wrote. Lawrence, who is from the Bay Area, seemed to be having fun with his newfound internet fame Monday. “Nothing slays on social media like a box in front of a door,” he tweeted.